Other names: Caimito, caimito-roxo, caini, cainito, golden leaf tree, abiaba, pomme de lait, estrella, and aguay. Star apple is a native of the lowlands of America. However, some botanists contest this view and are of the opinion that this fruit had originated in West Indies and then reached South America. It is basically a tropical plant. 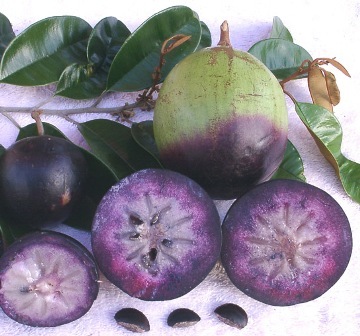 Star apple is a round fruit with purple or dark green rind. When the fruit is cut transversely, the pulp shows a start pattern. That might be reason for its being named as “star apple” as it has nothing common with apple. 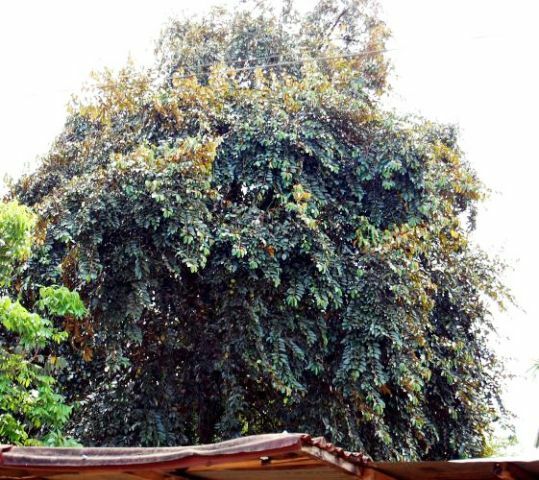 Star apple is an evergreen tree growing upto 20 m in height. It has some exclusive features. It is a very fast growing tree and can register even 3-4 feet increase in height during one season. Secondly, it has very attractive foliage. The leaves, which are alternate, simple, oval and entire, are 5-15 cm long. The dorsal surface is lustrous green and the ventral surface shines with a golden tinge. The trees appear very attractive when the wind rustles the foliage giving a strikingly beautiful effect. The flowers are inconspicuous, whitish, grouped in dense axillary fascicles of 2-12. The fruits are round, purple or green depending upon variety. The rind has latex which can impart a bad taste to fruit. So care has to taken while eating the fruit that the rind does not come alongwith the pulp which is otherwise sweet and quite delicious. The fruits also contain 5-7 hard flattened brown seeds. Star apple is planted in home gardens. It can be seed, by seed, cuttings and layering. There are basically two types or varieties, purple and green. But some nursery men sell named varieties too which just seems to be for enhancing the price of their plants. Star fruit is highly sensitive to cold and should therefore not be planted at locations that are likely to get frost during winter. It thrives best in fertile and well drained soils at open locations. The ripe fruit, because of its mucilaginous character, is eaten to sooth inflammation in laryngitis and pneumonia. It is given as a treatment for diabetes mellitus, and as a decoction is gargled to relieve angina. 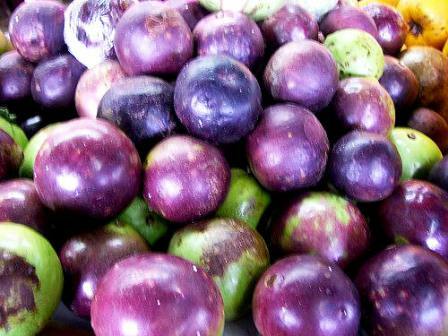 In Venezuela, the slightly unripe fruits are eaten to overcome intestinal disturbances. In excess, they cause constipation. A decoction of the rind, or of the leaves, is taken as a pectoral. 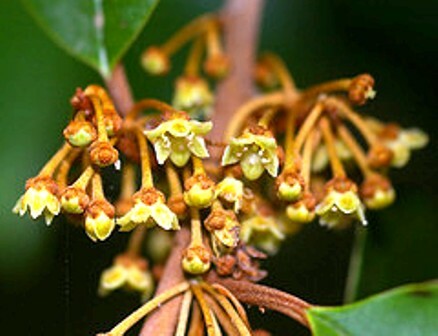 A decoction of the tannin-rich, astringent bark is drunk as a tonic and stimulant, and is taken to halt diarrhea, dysentery and hemorrhages, and as a treatment for gonorrhea and “catarrh of the bladder”. The bitter, pulverized seed is taken as a tonic, diuretic and febrifuge. Cuban residents in Miami are known to seek the leaves in order to administer the decoction as a cancer remedy. 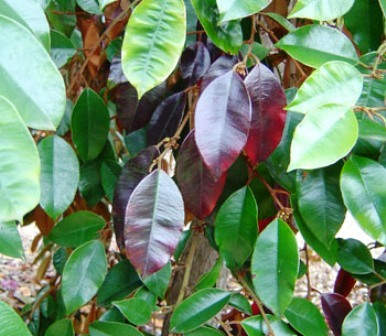 Many high-tannin plant materials are believed by Latin Americans to be carcinostatic. In Brazil, the latex of the tree is applied on abscesses and, when dried and powdered, is given as a potent vermifuge. Else where, it is taken as a diuretic, febrifuge and remedy for dysentery. The latex obtained by making incisions in the bark coagulates readily and has been utilized as an adulterant of gutta percha. It was formerly proposed as a substitute for wax on the shelves of wardrobes and closets.